Hello everyone! 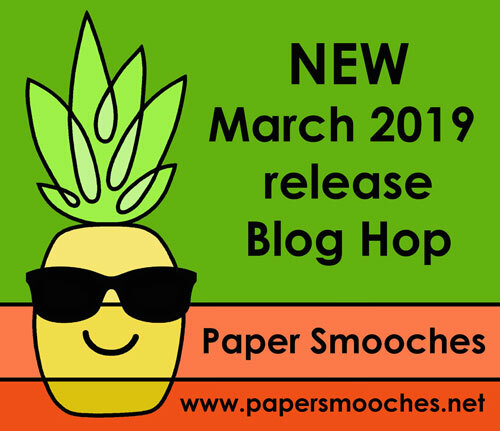 Have you seen the latest from Paper Smooches? If not, you must check out the release HERE. It’s one of my all-time faves. 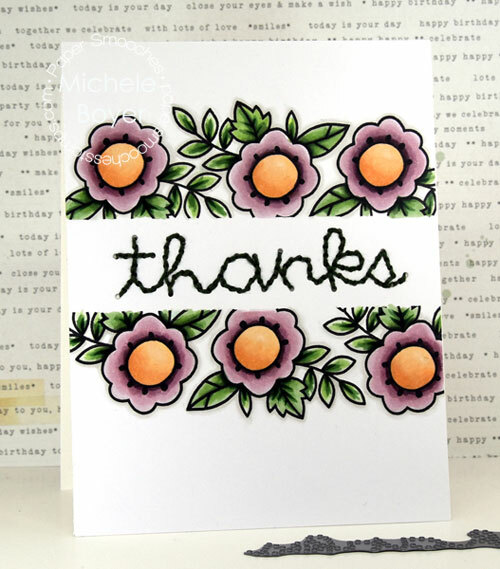 Today I am sharing a card using Rosy Posy and the no-line coloring technique. 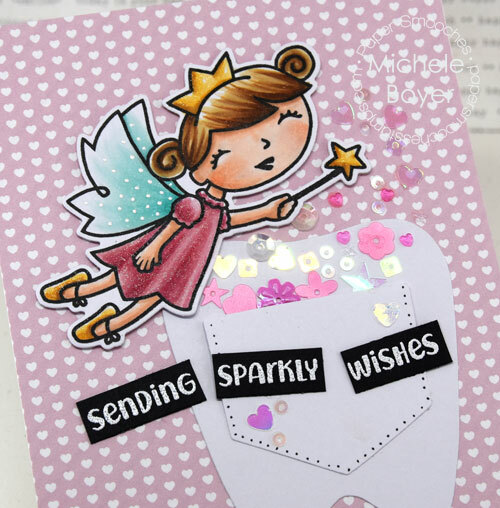 Using very light pink, I stamped onto X-Press It Blending Card then colored with Copic markers. The light pink ink virtually disappears once the image is colored. Hello! 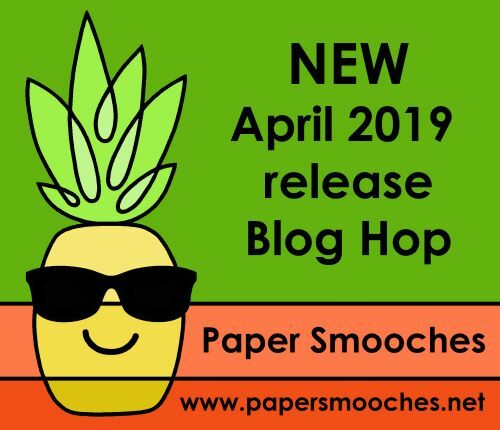 It’s time to share a sampling of the NEW Paper Smooches APRIL 2019 release with you! ONE new stamp sets and FIVE new dies will be available to purchase at 10:00 a.m. Central time zone on April 7th. Once available, you can find all new stamps and dies HERE. 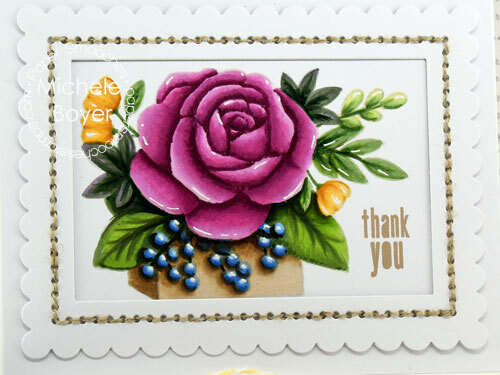 I used new Rosy Posy stamp set with Rosy Posy Icons dies (for the MOM letters). 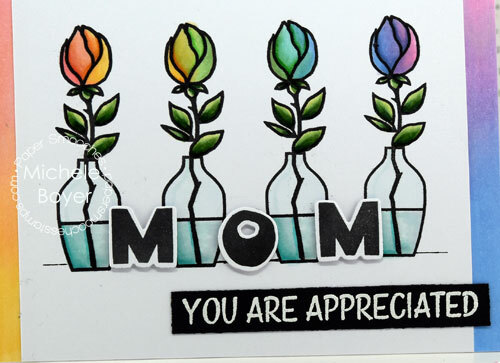 The white embossed sentiment is from previously released Precious Mom stamp set. 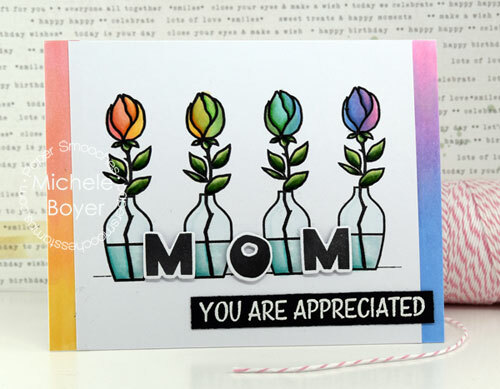 The stemmed rose image was stamped four times onto X-Press It Blending Card then colored in rainbow fashion using Copic markers (listed above). MOM letters are raised on Kool Tak clear foam squares. Leave a comment on any of the blogs listed below. You do not need to comment on all blogs to qualify but it will increase your chances of winning. Michele Boyer <-You are here! In doing some or all of the above, you will have up to four extra chances to win on each blog. Water YOU up to? Seriously, I’d like to know. Do you do crafts other than card making? I’ve recently gone back to sketching. My plan is to eventually tip my hand into mixed media. I want to sketch, paint, and get messy. I’ve been slowly buying supplying. It’s been a LONG time since I’ve picked up a pencil and just sketched, and I have pretty much zero experience with mixed media so it’s rather uncomfortable for me. But I’m determined to do it. Maybe I’ll share some sketches here soon. 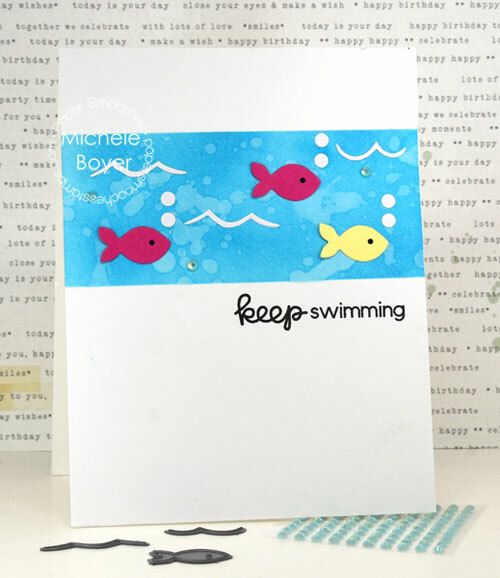 For today I’m sharing a card using one of Paper Smooches‘ latest releases, Splash with Splash Icons dies. I colored the images and background using Copic markers (listed above) onto X-Press It Blending Card. When I adhered the beaver, I placed a clear foam square behind his head and glued the log portion right to the paper, creating just a bit of dimension. 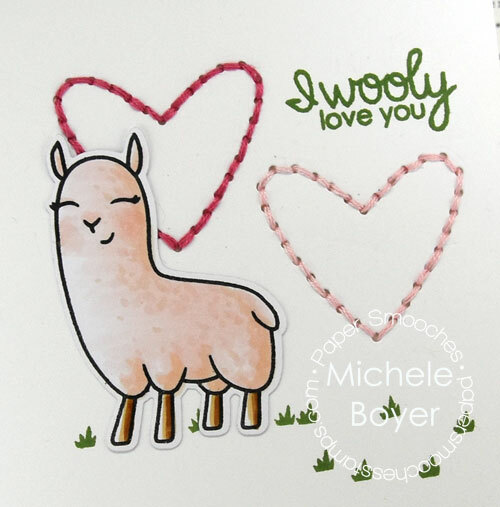 You can find all of Paper Smooches’ latest products HERE. New release coming soon! Thanks for visiting today! 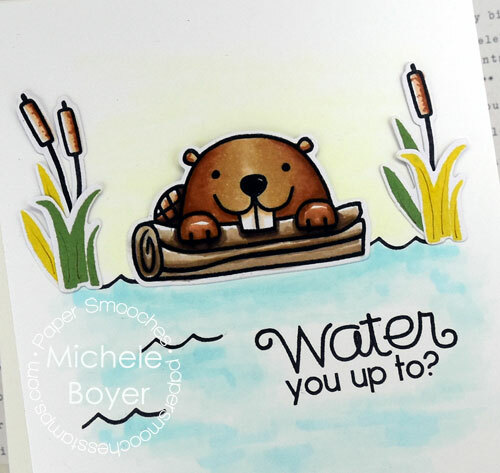 Today I’m sharing a quick and easy card I created using Paper Smooches‘ new Water dies with a sentiment from new Splash stamp set. 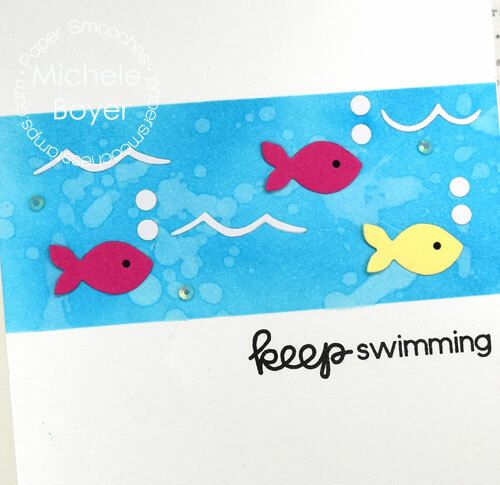 Water dies include bubbles, the little fish, several waves (of varying lengths) and little splashes. It’s really cute. 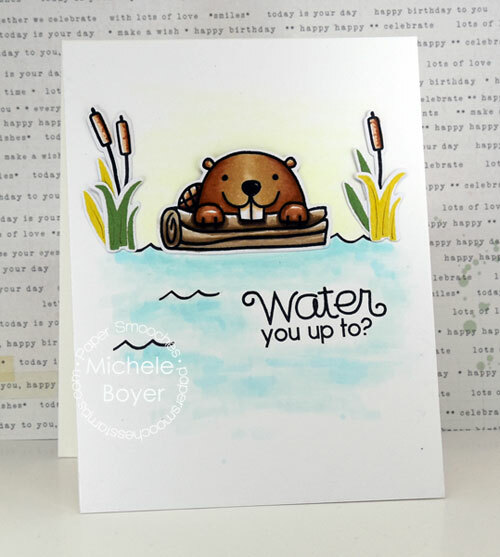 And Splash stamp set has quirky water critters with cute coordinating sentiments. 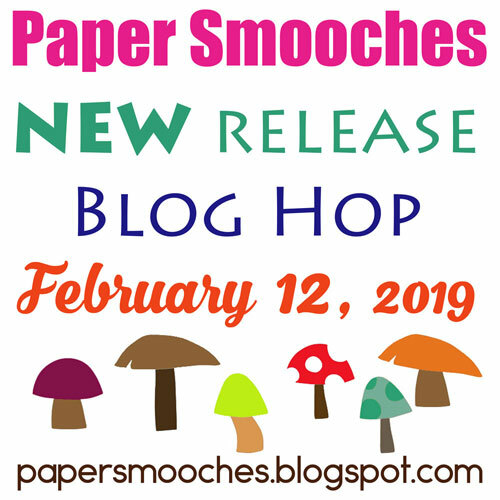 You can find all of Paper Smooches’ latest release HERE. Hi everyone! 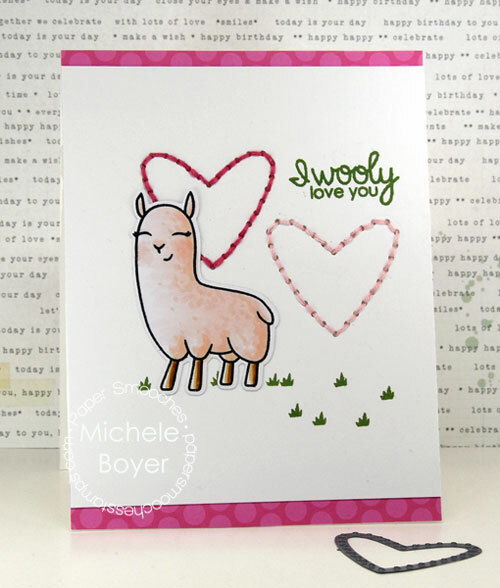 Today I’m sharing a quick and easy card using another of Paper Smooches‘ new stitching dies. The heart is one of seven dies in new Stitching Basics. I thought it created the perfect background for the Courteous Cutie and wooly sentiment. Hello everyone! Today I’m sharing a card using an image I colored earlier this month for the Daily Marker 30-day Coloring challenge. I post all of my extra coloring on Instagram if you’re interested. 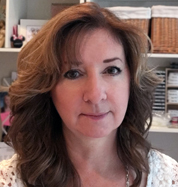 I have not participated every day in the challenge but I do have extra coloring on my profile page and Instagram is the place to see all of my work in one easy place. 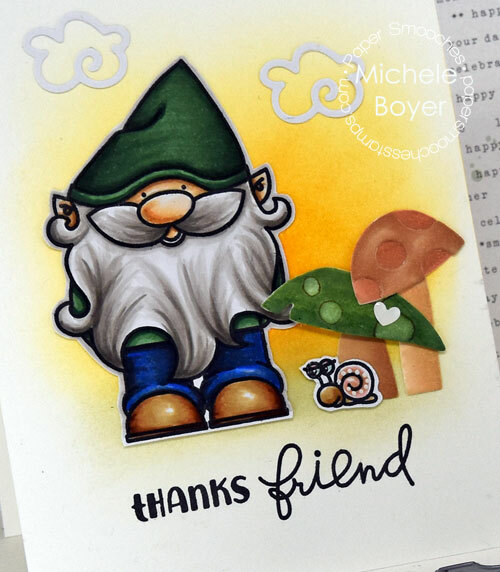 Anyway, today I paired this super cute gnome from Forest Whimsy with brand new Mushroom dies, both from Paper Smooches. The new Mushroom dies are the perfect companion to any gnomes or woodland creatures…or they’re super cute all by themselves. 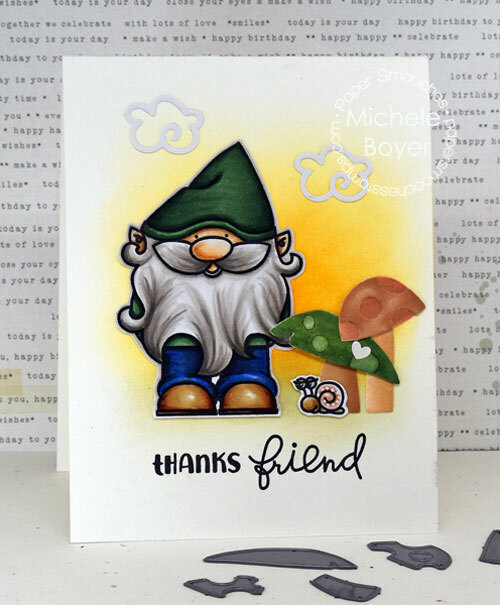 The gnome and snail were stamped onto X-Press It Blending Card then colored with Copic markers. The mushrooms were colored with Copics as well. To create the spots on the larger mushroom, I used my Colorless Blender then outlined each with a Copic Multiliner. White dots on the snail were added with a Kirarina Wink White Pearl pen. (I ******love****** that white pen. May it NEVER be discontinued.) I also used my favorite curly Clouds. Hi everyone! It’s almost the weekend! Actually, it has seemed like the weekend much of the week here with snow/ice and no school. Kids have had a crazy amount of time off. 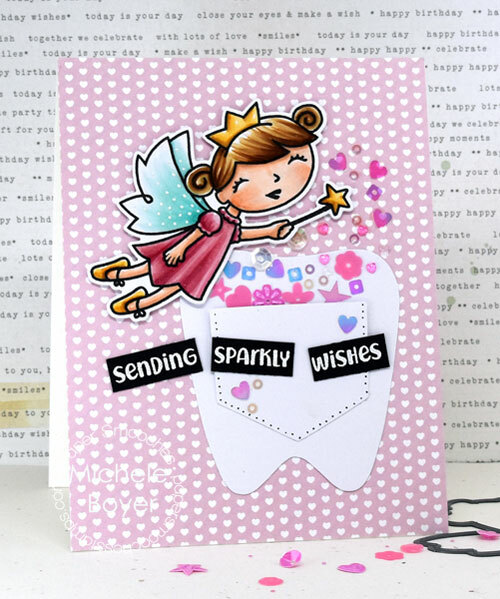 This week I’m featuring an older stamp set with brand new dies now available from Paper Smooches. I’m typically not a fan of clowns (at all) but this one, from Enjoy the Show, is certainly cute. 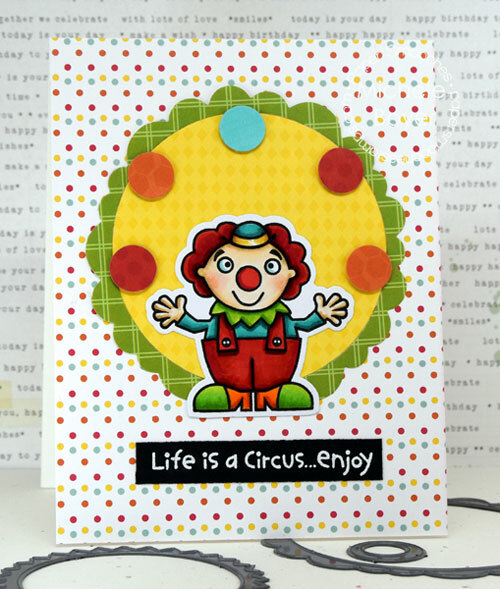 He was stamped onto X-Press It Blending Card, colored with Copic markers (listed below) and die-cut with the corresponding Circus Icons die. The surrounding scalloped circle as well as the “balls” were die-cut using new Flaunters dies. The set includes four circular frames and the smaller circle I used as balls. So versatile. 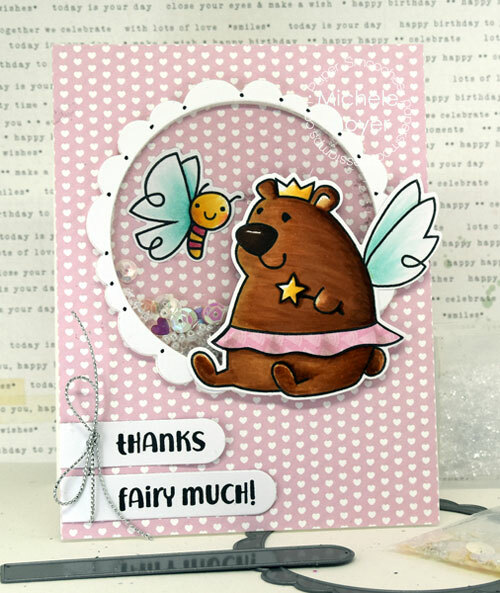 Earlier this month I posted on Instagram the above card using new So Fairy Cute stamp set (with corresponding dies), Flaunters and Bannerific (sentiment strips). Cute heart paper is new Happy Hearts from Queen & Company. Inside the shaker I placed Jewels toppings (also from Queen & Company) along with some random sequins from my stash. Hello everyone! 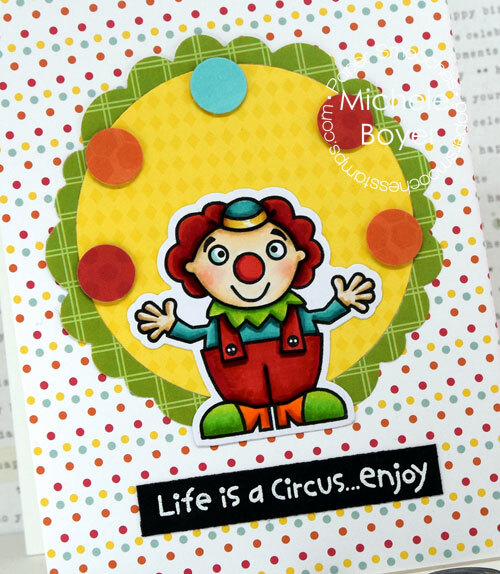 My card today features a baby theme without using baby themed dies. 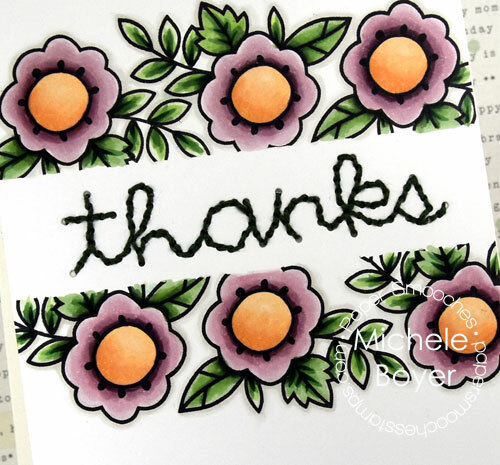 I created a super quick and easy card using Paper Smooches‘ Bows dies with a sentiment from Salutations. 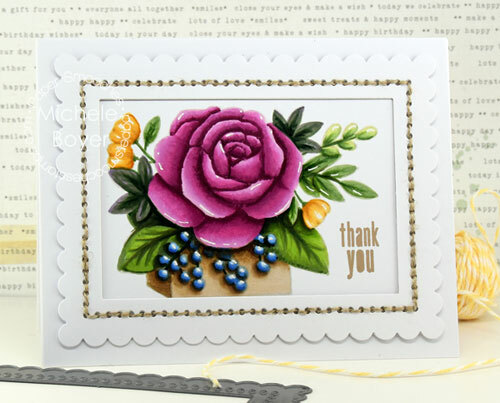 Salutations is a great sentiment set to have on hand as it covers all of the most popular card giving occasions.